Hammers boss Will Pottinger admitted it was “frustrating” to come away from Ipswich without a point. The Essex boys went down 51-39 in a spirited display at Foxhall Heath despite missing key man Nick Morris. Aussie ace Morris has been suffering from several knocks while racing for Premiership side Swindon and needed to time to recuperate – but will be back for Friday night’s return clash with the Witches. Pottinger said: “I can’t fault the boys for the show they put on. It’s frustrating to come away with nothing especially as we were only two down going into the final three heats. “But you have to accept that sport is like that. It was quite a tough night, we didn’t get the decisions but that happens sometimes. “Adam Ellis was excluded in a second bend crash with Ipswich’s Scott Nicholls and I thought the decision could have gone either way. “Richard Lawson was outstanding and kept us in it all the way through. His performance alone deserved to earn us a point. “However we now just have to re-group and get ready for the Witches on our home track on Friday night. “It’s now vital just to not be complacent and do the job at home. We’ve been solid all season but we need to keep that going. The Hammers took an early lead by six points after the opening two heat advantages. But Morris’ absence soon took hold when Ipswich fired-up in their own maximum in Heat 4. Witches did edge into a six-point lead but a tactical ride 5-1 from Lawson and Ellis narrowed the gap to two points again after Heat 12. 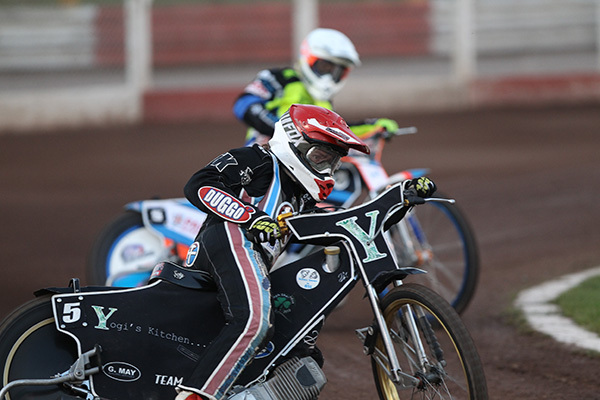 But Lawson’s first defeat on the end of a Heat 13 maximum ended any hopes of a win as the home side finished strongly to win by a dozen. 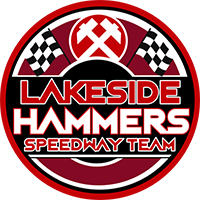 Scott Nicholls 13+1, Rory Schlein 11+1, Mark Riss 8+2, Nico Covatti 7+1, Coty Garcia 7, Cameron Heeps 4, David Wallinger 1. Richard Lawson 17+1, Adam Ellis 6, Ben Morley 5+1, Kyle Newman 5, Zach Wajtknecht 4, Alfie Bowtell 2+1.